What is set mining? - Casino Answers! Casino Answers » Poker » Online Poker Beginner Q&A » What is set mining? Set mining is a common term used in online poker player to describe a strategy that involves calling with a pocket pair, hitting a set, and then extracting a lot of money from your opponents. When you have a pocket pair, you hit your set about 12% of the time. Since the size of the pre-flop bet is typically small compared to the size of bets post-flop, set mining is a very profitable strategy. Set mining is typically when you have a pocket pair between pocket 2s and pocket 9s. You can still set mine with bigger hands, but those should probably be played more aggressively pre-flop while with a lower set you can typically get away with calling a smaller raise. Playing a small pair and set mining can be a very profitable strategy for beginning players and is definitely something to put in your toolbox. In fact, it’s so profitable, that many low-stakes players are professional set miners. These players fold every hand except for pocket pairs, but when they hit their set, the juicy action at these games allows them to get paid off in big wins with very little risk. In low-stakes games, players rarely put you on a small pocket pair so when they are trying to get a read on you they usually don’t think that you hit a set of sixes on the flop. They think, you have a draw, are bluffing or hit an overpair. For a lot of players, sets are a blind spot and that is something that you can profit from. To properly set mine, you need to have the right implied odds. Don’t call a pre-flop raise unless you and your opponent are both deep-stacked. Typically, you need about TWENTY-FIVE times the size of his bet in both of your stacks to call a raise. Since poker games usually play 100 big blinds deep, and raises are to 3 big blinds, you can set mine profitably unless your opponent is playing extremely short. The reason for this is that the odds of hitting the set need to match the pot odds. Too much money, not worth the risk. Learning about pot odds is one of the most important things for a poker player to do and especially those who want to start set mining. Instead of set mining, you should usually 3-bet hands like two tens, jacks, queens, kings or aces. A re-raise is often more profitable, since your opponent will call with weak hands at these stakes. This strategy does involve some risk, and is not as suitable for beginner players. The bigger the size of the hands, the more strategy that becomes involved. If you’re just starting out and don’t want to lose money, focus on set mining! 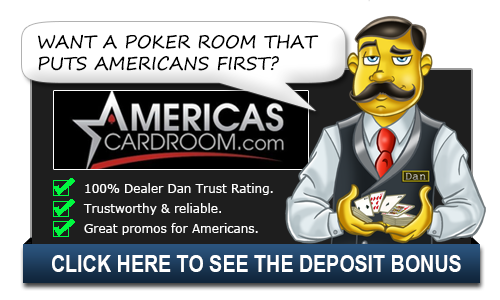 It can be a really profitable way of playing poker online and is a very simple strategy for new players to understand. Plus, it’s a ton of fun to flip those cards over and see the shock of the table.